Annotating is a key reading skill that enables you to actively and critically engage with text. Besides using it to comment on and capture your thoughts as you read, annotation can also be used as an instructional tool with your students. For instance, you can use it for formative assessment purposes, for comprehension checks, to collect students feedback and many more. In yesterday’s post, we talked more in detail about some of the ways you can implement the power of annotation in your teaching and learning and we also featured a number of practical web tools that allow you to annotate web pages. In today’s post, we are sharing with you some of our favourite iPad apps you and your students can use to view, edit, highlight, sign, and convert PDF documents. We are only featuring the popular apps we are familiar with, we might have missed other important apps in this regard, if so please share with us in our Facebook page. 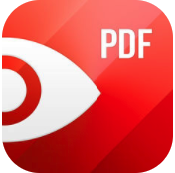 A powerful app that lets you view, annotate and sign PDFs. You can use it to add comments on your PDFs using sticky notes and drawing tools. You can also use its annotating tools to highlight and mark up text. The app is free to install but offers in-app purchases. 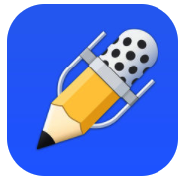 ‘PDFelement boosts your productivity with everything you need to read, edit, annotate, convert and sign PDF files on the go.Some of its features include: add text box, text call-out, stamps, freehand drawing and eraser; highlight, underline or strike through text; edit your PDF forms with ease; sign your forms with handwriting signature; quickly snap a photo of anything into a pDF and share with others…and many more’. Price $9.99. 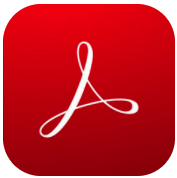 This is another of our favourite apps for reading, editing, annotating and converting PDFs. Some of the several features it provides include: convert PDFs to Microsoft Office files, TXT, image and HTML files; fill out and save PDF forms; track who reads or edits your document; share comments on PDF documents; scan, capture, and convert paper documents to PDFs and many more. 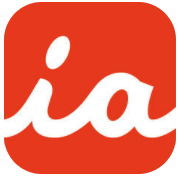 This is an excellent note taking and PDF annotating app to use on your iPad. It is a bit pricy ($9.99) but offers some powerful features. 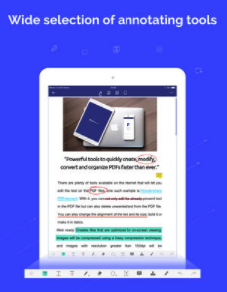 It lets you handwrite and sketch using beautiful ink; you can use zoom-writing to smoothly jot down notes; import PDFs, Google Docs, Sheets and Slides as PDFs; fill out and sign PDF forms; highlight, copy and paste, and search PDF text…and many more. Allows you to ‘read, annotate, and share PDFs, Microsoft Office files, images and web pages.’ other features it provides include: work on two-documents side by side; open PDFs directly email or other apps; add, delete, rotate and rearrange pages in your documents…and many more. Price $9.99. 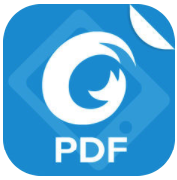 ‘PDF Expert 6 is an essential app for anyone who reads, highlights, signs and fills out PDFs on their iPhone and iPad. With an additional in-app purchase PDF Expert 6 acquires the unique superpower to edit existing PDF text, replace images and hide sensitive data.’Price $9.99.